It is the responsibility of property managers and home owners to maintain the safety of their properties and the integrity of any structures on these properties. Unfortunately, when these parties fail to uphold their duties, devastating accidents can occur that injure innocent visitors and guests. In most cases, these incidents take the form of slip and fall accidents. 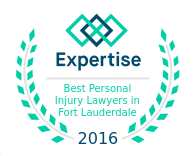 Each Fort Lauderdale personal injury lawyer with Winston Law Firm, have devoted their careers to fighting for the rights of accident victims. If you or someone you love has been injured because of a careless property owner or manager, you may be able to take legal action against the responsible party. Contact our offices at (954) 475-9666 for more information about your rights and our practice today. Broken bones or head injuries can occur when a floor is slippery, carpeting is loose, debris is in a walkway, or safety signs are not clearly posted. The injury suffered from an unanticipated fall can be quite serious and require expensive medical treatment. Slips, trips and falls are usually preventable, and frequently happen as a result of negligence or failure to adhere to safety standards. Depending on where your slip/trip and fall occurs, different legal standards may apply. 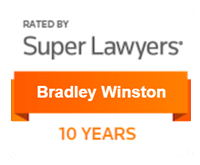 At Winston Law Firm, we have prosecuted hundreds of slip, trip and fall cases. We know the right experts to call to analyze the cause of your injuries. Insurance companies don’t want you to know this, but we also have access to injury databases that disclose the financial compensation that judges and juries have determined to be fair compensation for various forms of injury. Contact us today at (954) 475-9666 to discuss your situation with us in more detail.